It is in Kirsehir's Yenice District, Selgah Orta Street. 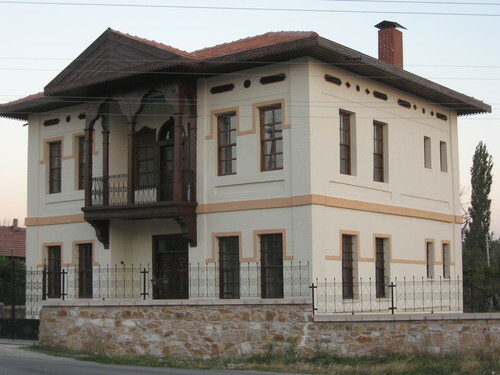 Hacibey Mansion, constructed by Mehmet Doğu in 1919, it is typical illustration of Kirsehir's traditional household with the architecture and furnishing, having two storied middle hall. In the top floor, an exaggerating ceiling central furnishing exists. In this ceiling central furnishing vegetate motifs strike people's eyes. The relief flower motifs reflect the period's furnishing style. This motif also affects today's rugs.